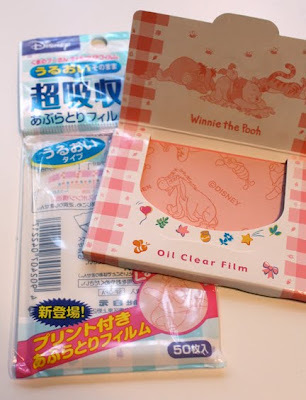 Winnie the Pooh oil blotting sheets! Yes, I get to wipe my face with Eeyore, Piglet, Tigger, and Pooh! Oh, those Japanese are a riot!